← Wordless Wednesday – Spin Baby! 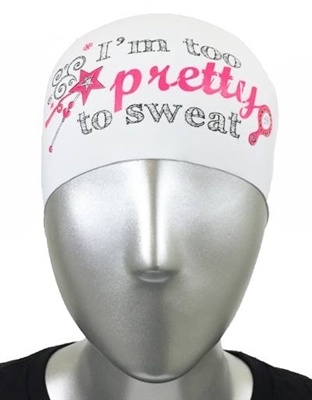 Lately I’ve been more focused on my physical fitness and as such, I’m always shopping for cute workout clothes. Well, when working out, I also have to think of ways to preserve my natural hair. Back in April, I totally missed an email my girlfriend sent when BondiBand had a sale, but with the upcoming July 4th holiday, I patiently waited and checked Retail Me Not and low and behold, I could get 5 headbands for $30 versus $45 which was a score for me! Promo Code: FIVE still works today, so try it! This is an example, I didn’t buy this one, but next time! Speaking of hair, I’ve also found myself being lazy about Deep Conditioning. The whole idea of pulling out my hair steamer just isn’t appealing when I wait to the absoulute last minute to do my hair. I did finally get smart one day and put deep conditioner on, tied my hair up and went to the gym and got a good cardio session in. 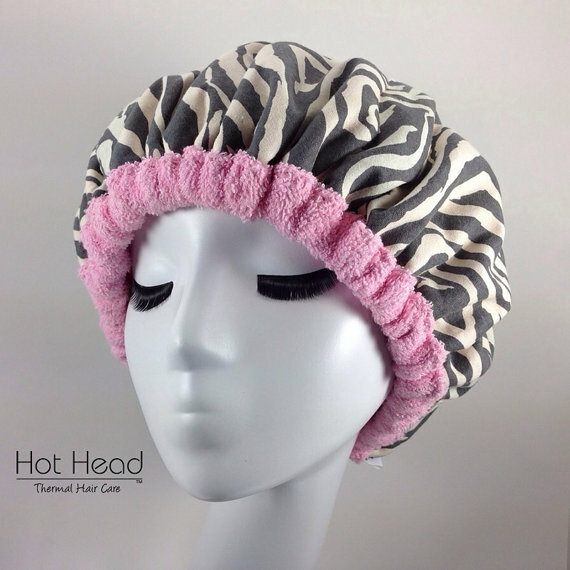 Well, I had been eyeing the Thermal Hot Head Deep Conditioning Heating Cap that allows you to be mobile while deep conditioning, but I again was waiting on a sale and with the holiday coming up, I scored one for 10% off and the shipping was very fast! I love animal print! And it’s reversible too! Today I’m thankful for being patient and getting in on sales of somethings that I needed. What sales have you gotten in on lately? This entry was posted in 4th of July, Exercise, Gym, Hair, Natural, natural hair, Shopping, Work Out. Bookmark the permalink.